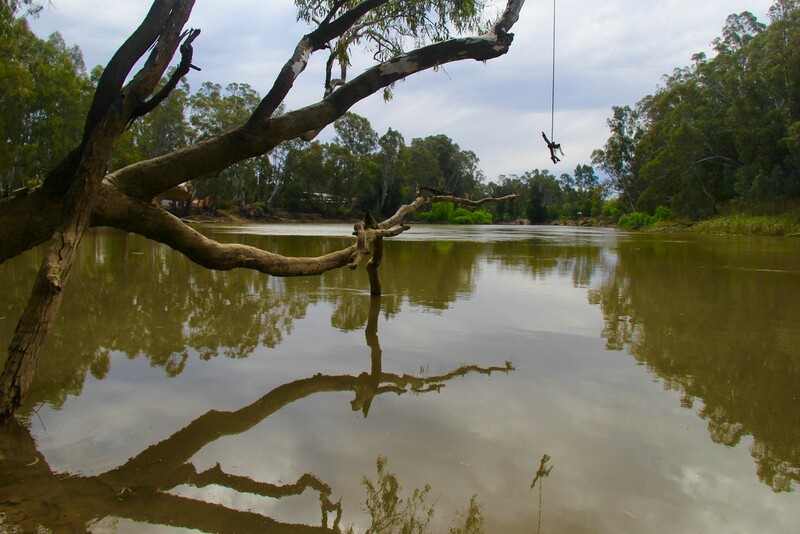 On the Murray River at Koondrook, Victoria. Hope they check for snags before they swing off this. Lovely shot with wonderful reflections. Lovely lines. Must be fun to swing here.